For installation into vented systems to pump both hot and cold water supplies to an individual shower, complete bathroom, or whole house. Suitable for positive head applications only. Stuart Turner Monsoon Standard Twin Shower Pump 2.0 Bar is rated 4.9 out of 5 by 14. Rated 5 out of 5 by Anonymous from Well engineered Bought this to replace my old Salamander 3 bar whole house pump. Really pleased with this purchase as it is of a higher quality & is quieter in operation. Just had to alter the pipe work to fit this pump but well worth it. Rated 5 out of 5 by Steve_acp from Quiet and powerful Great pump... whisper quiet compared to others on market. Similar pumps made for aqualisa by this company cost much more. Very happy with this purchase. Rated 5 out of 5 by Nimz from Awesome Pump I have had this pump for appox a week and it was simple to fit and use. The water pressure has been dramatically improved since it's 3.0 Bar pump - it does exactly what it supposed to - powering the whole house with ease. Reliability is yet to be determined but I'm sure I wont be disappointed. 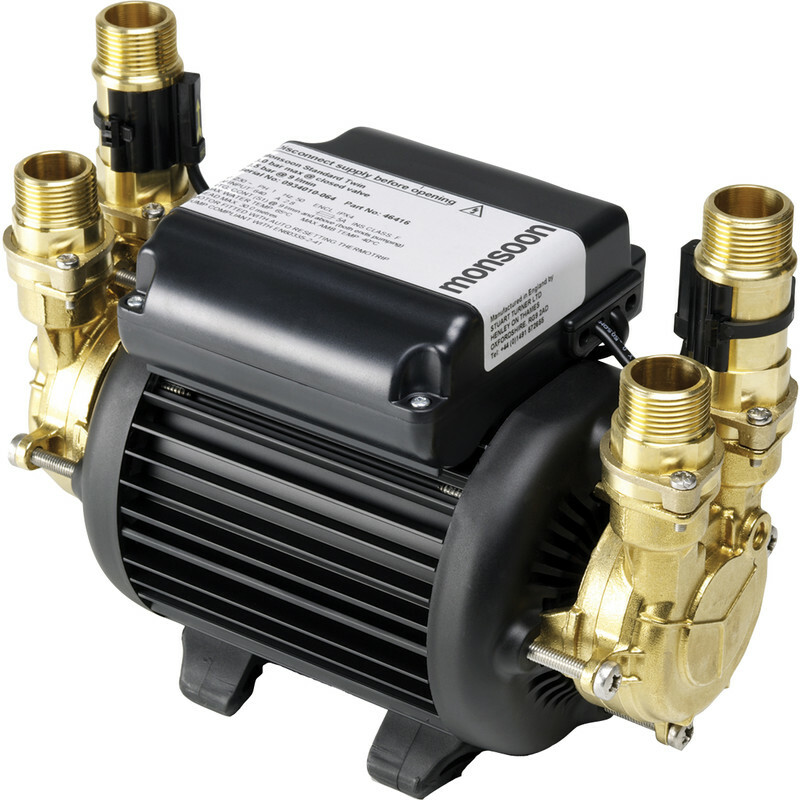 Rated 5 out of 5 by MikeDDDC from Does the job - Easy to install Purchased as a replacement pump. Fairly quiet. (Not as quiet as the previous pump.) Easy to install usining the existing pipework and flexies. Rated 5 out of 5 by Kelv from Great pump The pump works well and is very quiet.